Darryl recently started a six-week Leadership and Apologetics training course to equip the leadership team at Kingsway community church, a church started by Pastor Phanet Kim (see his testimony above). The purpose of this course is to equip the church leaders most of whom are below 30 years old. Most of them are first generation Christians so it is important to equip them with Biblical leadership principles and also to help them have the confidence that they need to evangelize their own families and communities outside of the church. They also need to be able to help their children and the younger generation in their church to be able overcome the doubts and challenges to the truth of Christianity that may come from their public schools and the media. Great news! 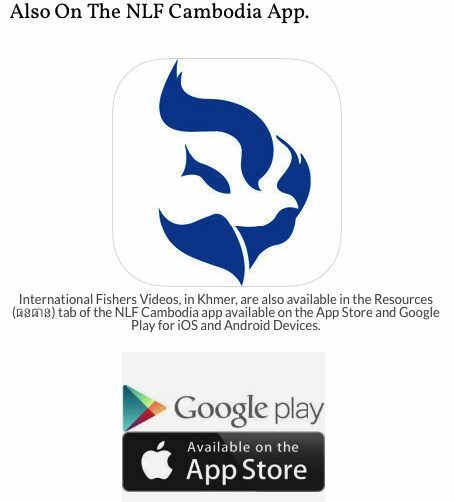 New Life Fellowship, the largest church in Cambodia (1,000+ members and 100+ church plants) has made International Fishers Khmer language videos available through their NLF Cambodia App for smartphones and devices. 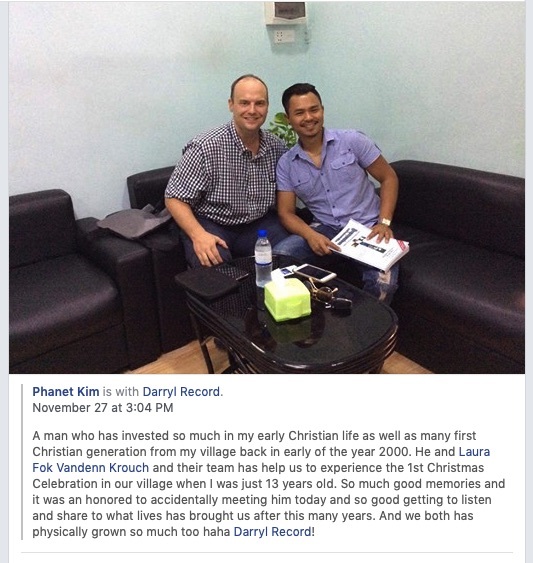 This will help make it easier for Cambodian Christians to share the gospel with their non-Christian family, friends, classmates, and co-workers. 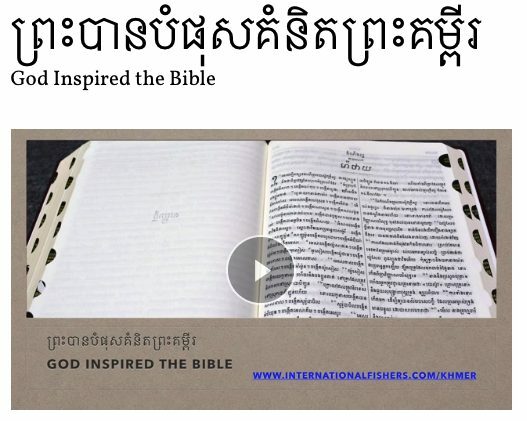 Recently, Darryl released a new video in Cambodian entitled, “God Inspired the Bible.” The video gives evidence that God inspired the Bible with these reasons 1. Pre-programmed morality. 2. The resurrection of Jesus Christ. 3. Fulfillment of Prophecy. 4. Archaeology confirms the Bible. One of the YouTube viewers commented that it was, “Very Clear.” Darryl is also working to produce a new video in Khmer on the evidence that the Tower of Babel really existed. Last month, we were happy that the Cambodian language video, “Did Jesus Really Rise From the Dead?” had received more than 12,000 views. Just one month later, this same video has more than 17,000 views! A pastor in Japan has taken one of Darryl’s Japanese language videos, “Life: Creation or Chance?” and used this five minute video as the starting point for a thirty minute evangelistic sermon in Japanese which he filmed and uploaded on YouTube. Kayo continues to work with Precious Women organization, a ministry which retrains and evangelizes women who work in bars and night clubs and who are at risk of being forced into prostitution or other forms of exploitation. Kayo’s ministry to Japanese continues to go well. Her life group is going well and is an encouragement to Japanese missionaries and workers who live and serve in Cambodia. Kayo also continues to serve in the worship team at the international church where we attend. We can’t believe that two years have passed since we left the USA to return to Cambodia. We will spend our time in California. We look forward to visiting our senders and family members in the area. Please pray for a blessed time and that God will open all the doors for us.